“It is my intention to apply for a spirit licence”, “Park at your own risk” or the popular “Trespassers will be prosecuted” – We see these signs all the time but what do they really mean? Do they hold any truths in their messages? Are they required by law? This article looks at some of the signage you would encounter in Jamaica and what they truly mean. We’ve all seen the signs conspicuously displayed at pubs across the island stating “It is my intention to apply for a spirit licence to sell rum, gin, brandy and other distilled spirits at the next Court session” and wonder if the intentions need to age for decades like rum. knowledge but are in many cases a misunderstanding by bar owners that this sign is a type of licence itself. Any wholesale or retail sale of spirits must be approved and licenced by the licensing authority and these licences are only valid for one year at a time. The spirit licence itself is to be prominently displayed at the bar and failure to do so results in a whopping fine of $200.00 per day for which the breach continues. more of then than the actual spirit licence. Those 5,000 reasons may not be enough to provoke spirited policing. the park. Even if there is no “Park at your own risk” sign on display, the owner of the car park is generally not liable for the acts of someone else against your property. Interestingly, even if you are parked at your place of work, you still bear the risk for acts done by third parties. Therefore, the owner of the car park, or any premises for that matter, is under no duty to guard your car or any goods you bring onto the premises against the risk of theft or damage by a stranger. A good example of this occurred in 2015 where a car was stolen from the Orchid Village Plaza car park along Barbican Road. The owner sued the proprietor of the car park and the security company on duty at the park. He was unsuccessful in his claim because the Court found that the duty of care owed to him as a lawful visitor to the premises did not extend to anyone taking care to protect his property from theft or damage which arose from the acts of third party. The Court found that such a duty is unknown to law. So now might be a good time to get that alarm installed on your car. Trespass in this context means to enter on someone’s land without permission. To venture onto private property without permission is a civil wrong and not a crime. So, as far as criminal prosecution goes, it is not possible. You would have to commit some other act like theft or damage to the property in some way whilst on it to be criminally prosecuted for the theft or damage to the property. By way of illustration, if James wants to go to a river but takes a shortcut through Mr. Jones’ farm instead of walking along the roadway, James would have committed an act of trespass. In this case the owner might just chase James off his property or ask him not to walk through his land. But if James damaged Mr. Jones’ property in any way or stole Mr. Jones’ ackee like that gentleman did from King’s House then, like the ackee thief, James might be prosecuted under the criminal law. People have many different reasons for using signs, like to display a well-fermented “intention to apply for a spirit licence” sign thinking it is a licence or the “trespassers will be prosecuted” sign to deter people from coming on their land even though no one will be prosecuted if the trespass happens. Just know, not all these signs mean what you or the users of these signs may think they mean. 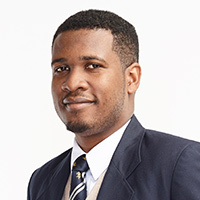 Jahmar Clarke is an Associate at Myers, Fletcher & Gordon and is a member of the firm’s Litigation Department. Jahmar may be contacted via jahmar.clarke@mfg.com.jm or www.myersfletcher.com. This article is for general information purposes only and does not constitute legal advice.